How to Build a Mosquito Trap From an Old Tire « Adafruit Industries – Makers, hackers, artists, designers and engineers! Scientists are repurposing old tires as mosquito traps, an idea which deserves quite the hat-tip for ingenuity. Read more about it in this informative piece from SmithsonianMag. Mosquitoes love old tires. Scientists aren’t exactly sure why. There’s something about the warm rubber—a chemical compound that the mosquitoes can smell, perhaps—that attracts the insects to lay their eggs in the tires’ hollow insides. 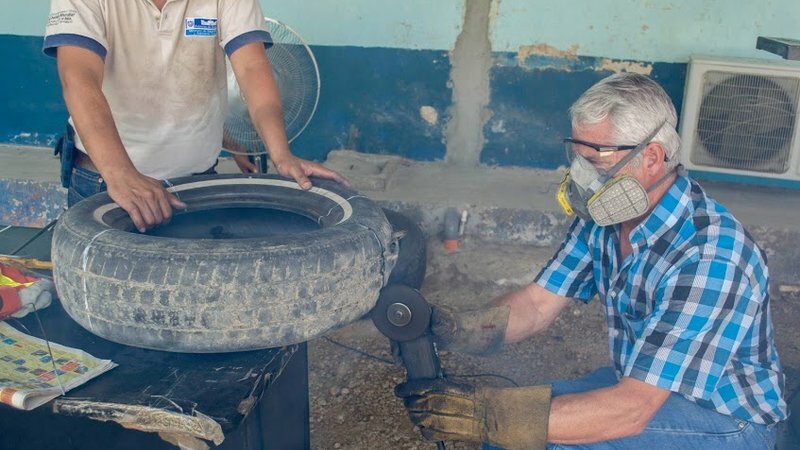 In backyard settings, old tires are one of the biggest risk factors for mosquito breeding, producing up to a third of all mosquitoes in the area.